Should I Buy a Tankless Water Heater? | Weilhammer Plumbing Co. Inc.
Are you in need a new water heater, but you are not sure which make or model to go with? If so, you are in the same position as thousands of other homeowners across the nation. Fortunately, modern innovations have made most hot water heaters more efficient and better performing. When it comes time for you to start perusing the market for a new unit, you will come by several make and model water heaters. From electric and gas, to propane, solar-powered, on demand, and even tankless. In fact, tankless water heaters are becoming more prominent among property owners, leading many consumers to ask themselves, “Should I buy one?” But in order to answer this question, it helps to ask yourself a series of others. Continue reading to learn how to decide whether or not your home or property is well-suited for a tankless-style water heater. What is a tankless water heater? 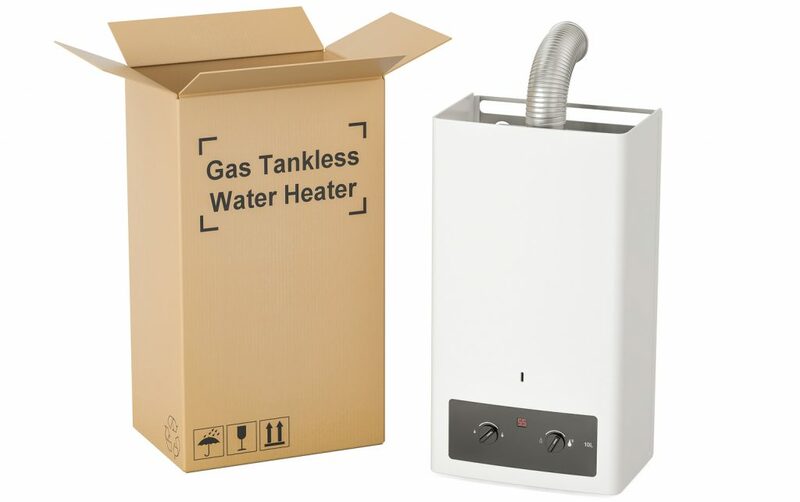 Well, tankless water heaters go by many monikers, most commonly as “instantaneous” water heaters, but also as on-demand, inline, flash, and continuous flow water heaters. These models are designed without the traditional storage tank that holds water for the home. Instead of a water tank, tankless water heaters only heat up water when prompted by a faucet or appliance. For this reason, tankless units are deemed highly Eco-friendly. Furthermore, they can save money on energy bills since less energy is used to keep stored water heated, like in conventional tank-style units. Also, since they lack the typical large tank, they save a lot of space, making them perfect for smaller residences, like apartments, condominiums, and dormitories. Although a tankless water heater might take a few minutes longer to heat up water since it does not store it, you can have a recirculation pump installed to help increase the rate at which water travels through pipes and to its destination. Read our blog, “What is the Point of a Tankless Water Heater?” to learn more about how they work and why they are beneficial. ❶ Do I have several occupants or guests, thus posing a risk of running out of hot water? ❷ How much hot water is really used on a daily basis? ❸ Am I away for extended periods at a time? ❹ Do I have a limited amount of square footage? If you answered “yes” to any of the four questions above, you very well may benefit from a tankless water heater. Again, talk to a licensed water heater professional for personalized advice to determine the best strategies for water heating. If you do decide on a tankless unit, be sure you also have a quality water conditioning system installed as well, such as a water softener. This is because tankless water heaters are highly sensitive to hard water damage. Read our blog, “Top 3 Reasons to Buy a Water Softener” to learn what you need to know about water conditioning. Talk to a Pro Today! Call Weilhammer Plumbing Company at 317-784-1870 when you need hot water heater repair and installation in Indianapolis, Indiana. Owner and master plumber, Mark Weilhammer, has more than 60 years of experience in the plumbing industry and offers a wide range of water heater services for commercial and residential properties, including free advice! Request free estimates or advice, today. This entry was posted in Water Heaters and tagged Tankless Water Heater installation Indianapolis, Tankless Water Heater repair Indianapolis, Tankless Water Heaters benefits, Tankless Water Heaters facts, Tankless Water Heaters pros cons, Water Heater company Indianapolis. Bookmark the permalink.